The Ubyssey investigated UBC Students’ Union Okanagan after it ran unprecedented deficits in 2015 and 2016 — more than $300,000 each year, or about 23 per cent of annual revenue. The union’s 2015 outgoing president used his marketing company to run the winning campaigns of 24 of UBC Okanagan’s 31 positions in student government. That past president and his company then won a website contract for the union’s student work subsidy initiative, the Campus Community Bridge. The project flopped with only eight students receiving grants and the website went defunct along with it. The UBCSUO refuses to say how much money was paid to the past president’s business. “This has been coming for a long time, Rocky,” said Shaman McLean, a vice president of UBC Students’ Union Okanagan (UBCSUO). McLean was at a February 2015 meeting of student executives in a small boardroom. Present were four other student executives, the union’s general manager and three student guests. McLean was addressing then-president Rocky Kim. UBCSUO president was not Kim’s only hat. 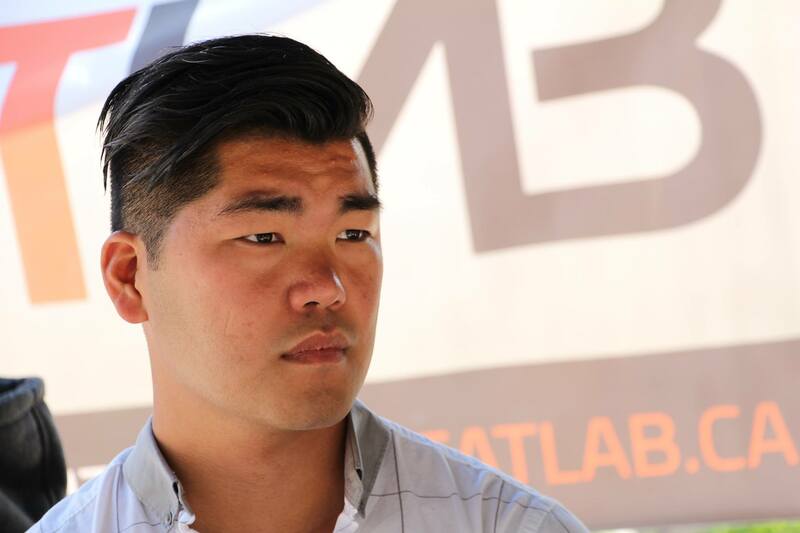 He was also co-founder and managing partner of Class Media, which branded itself as one of the “largest student marketing, publishing and consulting companies in the Okanagan” on its now-defunct website. Kim co-founded Class Media, also known as Class Magazine, during his presidency. It began as a print magazine, but soon became an online hub of UBC Okanagan and Kelowna-focused content, and a vessel to help sell other marketing services — like social media management and website design. McLean was accusing Kim of a conflict of interest between his duties as president and his business interests with Class Media. Class was competing with the UBCSUO’s campus newspaper for advertising and stories, and that’s what was under discussion at this meeting. The conflict went beyond disadvantaging UBCSUO’s official media, though — Kim’s role at the UBCSUO helped to foster his business prospects. He sold full-page colour ads to many historical UBCSUO advertisers, the SUO and Class Media occasionally cross-promoted on each others’ social media feeds and ran events together, and on multiple occasions, Class referred to the SUO as a partner. 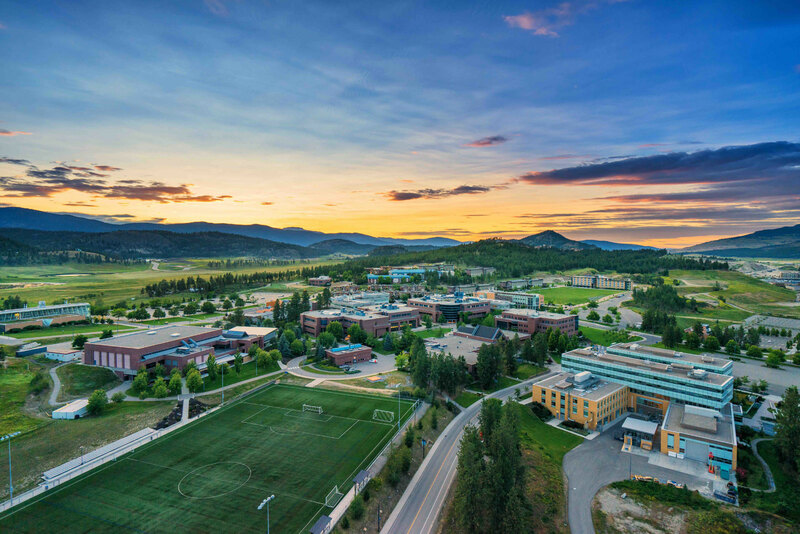 The UBCSUO was a crucial partner for Class Media, as it strengthened Class’s key sales pitch: access to UBC Okanagan’s 8,000 students. Kim was nearing the end of his term as president when McLean confronted him. McLean said he wanted to see “more ethical boundaries” between Class Media and the SUO. 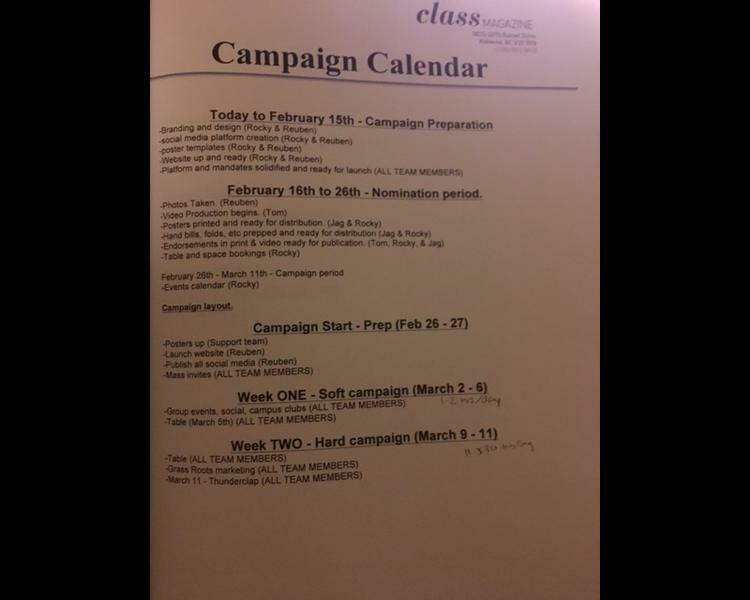 Their discussion focused on Class’s competition with campus media, although McLean spoke briefly about a variety of concerns such as Kim’s use of UBCSUO petty funds and Class Media benefiting from the student union's connections. UBCSUO official meeting minutes concluded that no conflict of interest existed between Kim’s duties as president and his role as managing partner of Class Media. But even though Kim’s presidency was winding down, his connections to the UBCSUO were growing. In February, Kim added another title to his bio — campaign manager for presidential-hopeful Tom Macauley’s campaign. After Macauley’s election, he awarded Class Media a contract to build a website for a student job shadowing program, the Campus Community Bridge (CCB). CCB was designed to pair students with UBCSUO corporate partners for interviews. If they completed 40 hours of job shadowing, students were to receive a $500 check from the CCB fund. Macauley’s original proposal put aside $50,000 for 100 student grants at $500 each. His budget was reduced by more than a third, which still would have allowed for 60 grants. But in the end, no more than eight students participated, at a cost of around $4,000. A precise dollar breakdown of where the money went is still unavailable. 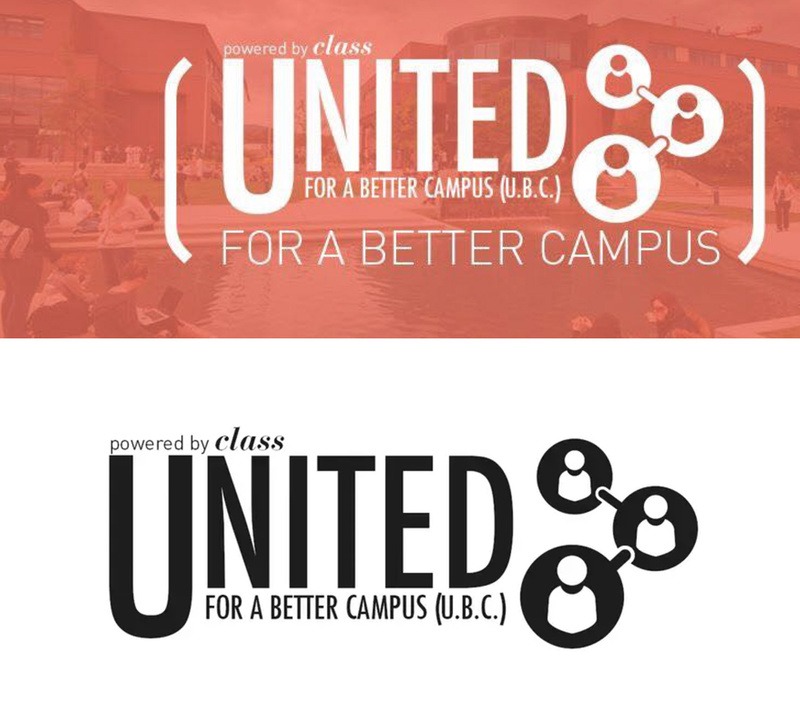 In February 2015, outgoing President Kim threw Class Media’s resources behind Macauley’s campaign, a slate called “UNITED for a Better Campus UBC,” or UNITED for short. A slate is a group of candidates running on a shared platform — a practice that is controversial at many campuses in Canada. Proponents say it leads to more effective governance through a unified vision, while critics say it leads to disengaged leadership and “rubber-stamp” boards. UBCO students voted to ban slates at the 2014 Annual General Meeting of the union. Promising to create a policy that would enact the ban, the UBCSUO re-wrote their bylaws and excluded the ban. By the time elections hit, the SUO had failed to follow through on the policy, and UNITED ran its campaign, putting forward 26 candidates in an election with 31 positions available. Slates were banned again once UNITED was elected. Class led UNITED to a near sweep. All but three elected student government positions were United candidates, including four of five executives. Four positions were left vacant. Macauley’s one-year term as president was the most costly in UBCSUO student union history. The union reported a deficit of $308,555 in 2015, two months after Macauley took office. In 2016, two months after Macauley left office, the union reported an additional deficit — this time of $319,000. According to UBCSUO general manager Bob Drunkemolle, much of 2015’s deficit spending happened in the last two months of that year’s financial term, when Macauley’s team began implementing their agenda. These two deficits each represented about 23 per cent of annual revenue in the years incurred, a stark departure from the union’s history of surpluses. In 2013, the UBCSUO’s surplus was $452,283 and in 2014 it was $137,222. The union’s steep spending also put it in violation of UBCSUO Bylaw XIII 3, which prohibits the society from operating at any level of deficit. The deficit was largely caused by ambitious over-spending on new events and initiatives. One of those initiatives was the CCB. Kim turned down an interview about the Campus Community Bridge, saying in an email that he couldn’t comment because he didn’t have any information. Drunkemolle said he wasn’t aware Kim was working on the CCB, since Kim “was not there” that year. But many students say Kim was there. Kim wasn’t just building the CCB’s website at arm’s length. He was also helping out with “behind the scenes logistics,” according to Nicole Legg, who worked with one of the CCB’s corporate partners, Okanagan Counselling. In fact, Kim was one of the only people involved in the CCB’s logistics. Jessica Fortier is a UBCO graduate who participated in the CCB as a student, and was placed at Okanagan Counselling through the program. She spoke positively of her placement, which eventually resulted in a year’s employment — but she noticed logistical issues. Despite the CCB spending nearly twice its allotted budget, student engagement was lacking. Megan Stancec was hired to promote the CCB though setting up booths for signup, and noted that hundreds of people would walk by, uninterested. Stancec’s tabling was the biggest effort to promote UNITED’s flagship campaign promise — a career initiative that promised to connect up to 40 students with hundreds of businesses. According to Drunkemolle, the CCB had 12 corporate partners. But Class Media only listed six on their website, which was last updated in March 2016. The Ubyssey spoke to all six of the businesses listed on the CCB’s website as partners students could work with: Mona Vision, Orchard Park Dental, Okanagan Counselling, Silver Star, Thirdspace and H.O.P.E. Outreach. Four never received student work placements. H.O.P.E. Outreach and Okanagan Counselling, the remaining two, received six student placements between them. Even though the UBCSUO never followed up with some of the businesses Kim spoke to, Class Media did. “Class gained connections,” said Natalie Wong, Class Media’s former copy editor. While the CCB was running, Class Media sold sponsored content to two of the UBCSUO’s CCB partners — Mona Vision and Thirdspace. Many of these articles advertised a partnership between three partners: the business, Class Media and the UBCSUO. Kim would not speak by phone, but he responded by email saying he didn’t understand how a conflict of interest could exist. Class Media also published a page of sponsored content about the Campus Community Bridge. To find out how much Class Media was paid by the UBCSUO, The Ubyssey requested a copy of the CCB expense records from Drunkemolle and current president Blake Edwards. They refused, but they shared some general information from the records. Drunkemolle said the CCB ledger listed 12 students who successfully participated. But The Ubyssey found that at least 4 of the 12 students listed did not participate in the program, a fact which surprised both Drunkemolle and Edwards. This CCB ledger was submitted by Kim himself, according to Edwards. Macauley’s project proposal earmarked $8,000 for a website and $2,000 for administrative work. Assuming those figures are correct, and adding in a generous estimation of $6,000 spent on student grants plus other miscellaneous student-related expenses, that leaves about $35,000 to $40,000 unaccounted for. So how was the rest of that money spent? According to Drunkemolle, the majority of CCB’s expenses went to events. It’s unclear when the CCB shifted from being a student grant subsidy program to a fund primarily for events, but it was not a change approved by the UBCSUO board, according to meeting minutes. Drunkemolle said at least 12 events or initiatives were paid for or sponsored by the CCB fund. Class Media, which managed many events for businesses in Kelowna, was connected to some of the CCB’s events. Online records show that Class Media managed ticket sales for Celebratory UBC and Kevin Breel: Confessions of a Depressed Comic, both free-to-student events paid for by the CCB fund. The fund also sponsored a City of Kelowna Canada Day concert, which was partly run by Blueprint Okanagan, an events company that also employed Rocky Kim as its university liaison. Class Media was involved in more UBCSUO events during Macauley’s year than just those funded by the CCB. “It seemed like the sort of events that were run by the student union were also correlated with what [Class Media] would have more of a stake in,” said Alex Cloherty, a UBCO alumni who had been concerned with the UBCSUO’s spending in her graduating year of 2016. In early 2016, Class Media partnered with the UBCSUO to run a comedy event at the Cannery Lounge, the cocktail lounge arm of the now-closed Flashbacks Nightclub. Class Media was the official media partner of Flashbacks — Kim managed and promoted many events there. But Drunkemolle warned the UBCSUO executive in a September 2015 meeting that the union could not sponsor parties at Flashbacks because it would be a conflict of interest with the campus pub. Drunkemolle also warned them that Flashbacks couldn’t be present at ExpoUBC, another event sponsored by the CCB fund. UBCSUO’s comedy event at the Cannery Lounge happened after this warning. With the overall context of the UBCSUO’s rampant deficit spending, the Campus Community Bridge raises serious concerns of mismanaged student funds. Tom Macauley claimed the CCB would connect students with hundreds of businesses, but the reality fell far short with the mere eight students that participated. He told the UBCSUO board of directors that he was “negotiating” with an arm’s length web design firm in Kelowna for the CCB website, but that never happened. Instead, Macauley’s former campaign manager built the website. When asked for an interview about the CCB, Macauley refused twice. “Unfortunately, I'm not a student anymore, nor am I in a position to comment on anything related to the UBCSUO,” he wrote. Macauley later responded to an email that outlined facts reported in this article. He said he “disagreed with the allegations,” and that they were “misleading and inaccurate.” He did not respond to follow-up questions asking for clarification. He asked that The Ubyssey never contact him again. Students are supposed to hold their elected representatives, like Macauley, to account at the Annual General Meeting. But 2016’s AGM did not reach quorum of 50 students, the required minimum to vote on any bylaw changes. All the union can do without quorum is pass audited financial statements from the previous year and the upcoming year’s budget, both of which they did. There is no record of discussion about the deficit. In fact, the UBCSUO’s deficits were not mentioned anywhere in the meeting minutes of Tom Macauley’s term — a big departure from previous years when financial debates were frequently recorded and released to the public. In another stark contrast to previous years, both Kim and Macauley’s boards of directors met half as often as those of the two previous years’ boards. These meetings were also shorter than in previous years. In 2013, board meetings were often two to three hours at minimum. In Kim’s year, the average board meeting was 57 minutes — in Macauley’s, 78. Student unions in BC are governed by the BC Societies Act, which requires that accounting records be kept for inspection by current members. The Ubyssey, with the assistance of a current member of the UBCSUO, requested a copy of CCB expenses and a number of other financial documents related to the initiative and the union’s approximate $600,000 of deficit spending over two years. Drunkemolle argued that this part of the Societies Act does not apply to the UBCSUO, however, because it also said that societies could “provide otherwise” in their bylaws with regards to inspection of accounting records. The Ubyssey asked a lawyer for his opinion about the language Drunkemolle’s argument hinged on – the clause that allows societies to “provide otherwise” for inspection of accounting records. “In section 24(2)(b), to ‘provide otherwise’ means that the bylaws must specifically address the question of access to the records. If the bylaws do not address this, then the Act applies and the records are available to members,” said Luke Johnson of De Jager Volkenant and Company Barristers and Solicitors, who specializes in non-profit and charity governance and has extensive experience with the Societies Act. Based on Drunkemolle’s logic, the UBCSUO also had a contractual obligation not to run a deficit, which it failed to do two years in a row. The UBCSUO is unique among BC university student unions in omitting a bylaw that would allow students to inspect accounting records. The AMS at UBC Vancouver, the University of Victoria’s Student Society and the Simon Fraser Student Society all have specific provisions that allow for extensive member access. Nick Dodds was an executive of the UBCSUO who spearheaded the creation of UBCSUO’s new bylaws, to which Drunkemolle is referring. “I definitely didn’t intend to invoke that line in the Society Act,” said Dodds, who pointed out that to his knowledge, ambiguity in bylaws should allow for a much less restrictive interpretation than what Drunkemolle had suggested. The UBCSUO does not have a communications manager, so Drunkemolle has acted as one. Drunkemolle is the UBCSUO’s only full-time, non-unionized staff member and he — like Kim and Macauley — won’t speak about the CCB. After a one-hour interview about the union’s deficits, he cut off all contact with The Ubyssey. The UBCSUO is under BC non-profit law, so it falls to their members to enforce the checks and balances. David Nixon was editor-in-chief of The Phoenix for the 2013/14 academic year. He wrote one article for Class Media in 2016. He is an alumnus of the UBC Students’ Union Okanagan. Emma Partridge was a news reporter for The Phoenix during the 2013/14 academic year. She is an alumnus of the UBC Students’ Union Okanagan. This is an ongoing story. If you have any information that you would like to share pertaining to it, please email d.nixon@ubyssey.ca.